I have read manuals that say to check hyd oil with all cylinders retracted and now have read check hyd oil with all cylinders extended. Warning on to check with all extended was to be sure the transmission oil level does not get too low. So now I wonder, is the normal if the oil for cylinders is same as for the transmission should it be checked with cylinders extended or all machines but if hyd oil is not the same as the transmission and or rear end check it with cyls retracted? 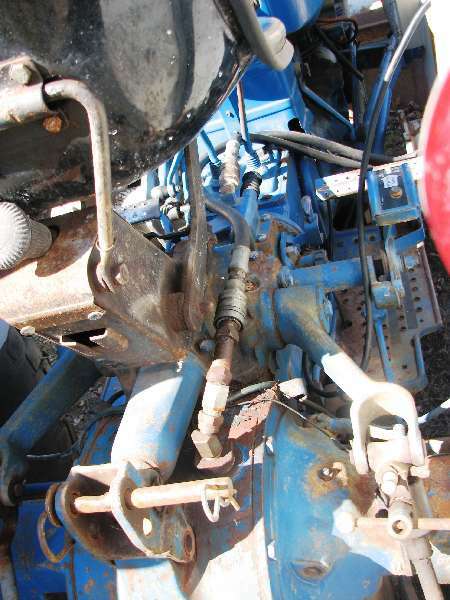 I can understand the reason to check with cylinders extended with machines that use the transmission and rear end as the hyd oil tank you could pull enough oil to be low for the gears needs. Most of my stuff I have manuals for so I follow the manual, in the case of an unknown, I would follow the most familiar, lastly, I would be conscious of operation, does it seem like doing OK. I think hydraulic systems are less prone to failure than other things when being overfilled. I very much know any fluid expands as it heats up but think all hyd systems for tractors and such have vents to release the pressure and even oil with some. Used my brothers hydraulic ditch bank cutter a few weeks ago and it has its own self constrained hyd system powered by tractor's pto. He asked me to check the level for he thought it was low. It was and took couple of gallons to fill. Not real hot weather and did not run it really hard but it probably pushed a gallon of that oil back out as it heated up. Probably that cutter needs a cooler on it for summer use. Mostly here they are used in our cold winters when temp drops to say 50. We cut ditches rather than push snow. OK a cheap shot but you think warm winters are only great and for the most part that is correct. Which this brings me to I not sure have ever seen a manual that tells you to check the hyd oil cold or hot. I normally do cold.